Whether you’re a city-dweller or the suburban type, small leaks in your home can turn into big problems. Water damage is one of the most common causes of property damage, and more often than not, the problem starts inside the house. Thankfully, most home security companies offer flood sensors that help minimize the risk of water damage. These water leak detectors can notify you of a small problem before it turns into a costly one, saving you time and money. If you already have a smart hub, integrating a water leak detector is a no-brainer. It’s a convenient way to add an extra layer of security to your home, and you can tailor its functionality to your specific needs. Adding a water leak sensor to your existing home security and automation system offers myriad advantages: You can get notifications sent directly to your phone when the sensor detects water or any changes in temperature. If you have a smart thermostat, you can remotely adjust your home’s temperature when the sensor detects a freeze. The device also offers tamper notifications if the sensor gets knocked out of place. Consider these things kid- and pet-proof. Although it’s one of the more expensive options, Vivint’s flood/freeze sensor offers a great deal of versatility. This water leak detector can either be added to an existing Vivint home security package as an à la carte option, or it can work alone. You can also configure it to operate as a temperature sensor or flood detector. The Vivint flood and freeze sensor also lasts a long time. A really long time: the battery has a shelf life of up to 10 years. And although the device itself doesn’t emit an alarm, the sensor will send an email or text notification to you whenever it detects dropping temperatures or rising moisture levels. Samsung’s water leak sensor is a basic, go-to option if you already have a SmartThings hub in your home. The installation process is easy: just pair it with your smart hub and go. Although the sensor itself doesn’t offer an audible alarm, you can link it to another smart home device—a light or an alarm—so it will also trigger an alert to your smartphone at the first sign of excess water. Worried about leaks happening while you’re out of town? You can integrate your SmartThings system with ADT home security equipment, too. If you opt for professional monitoring when you’re out of town, an ADT professional can send help in case of an emergency, taking care of the problem remotely. 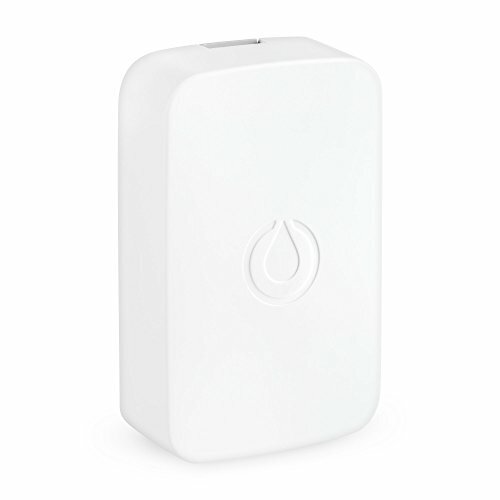 Wi-Fi connected water leak sensors offer peace of mind at a lower price point. If you’re technologically savvy but not ready to commit to a smart automation system, a Wi-Fi water leak detector could be the way to go. Honeywell’s Water Leak and Freeze Detector offers versatility too, but at a much lower price point than Vivint. It works independently of a smart hub, connecting directly to your home’s Wi-Fi network. We like this option because it has dual sensors: one at the base of the device and another with a four-foot cable that detects water and can be used to extend sensor capability. If you need the device to cover more distance, you can purchase additional cables separately to extend the sensor’s length to 500 feet. Through Honeywell’s Lyric app, this water sensor alerts your smartphone at the first sign of leaks, freezes, and humidity, and you can set alerts for when the temperature in your home drops below a certain point. The device itself also has status LED lights and a 100 dB buzzer—that’s as loud as a jackhammer or a revved-up motorcycle—alerting you to any problems while you’re in your home. Easy-install water leak detectors offer protection from water leaks without the fuss and at a much lower price point. These are a perfect option if you want a straightforward water leak sensor that works well without the bells and whistles. The cheapest water sensor that we recommend doesn’t skip on functionality. Installation is as simple as placing the device on the floor near a water source, and its six-foot cable can be lengthened up to 100 feet for hard-to-reach areas via splicing, which is better left for the professionals. (And for the price, it might be better to just purchase a couple more). Although batteries aren’t included, the Basement Watchdog Water Sensor and Alarm can last up to five years, and the alarm sounds up to three days at 110 dB—imagine being front row at a rock concert. You’ll definitely be able to hear when trouble is afoot. 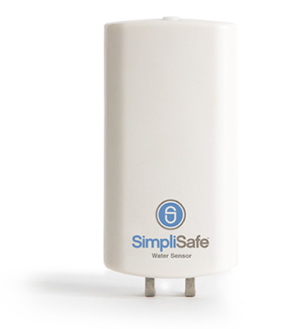 The Smart Leak Detector from SimpliSafe also offers a no-fuss installation—simply place it on a wall with the included Command strip near the floor. 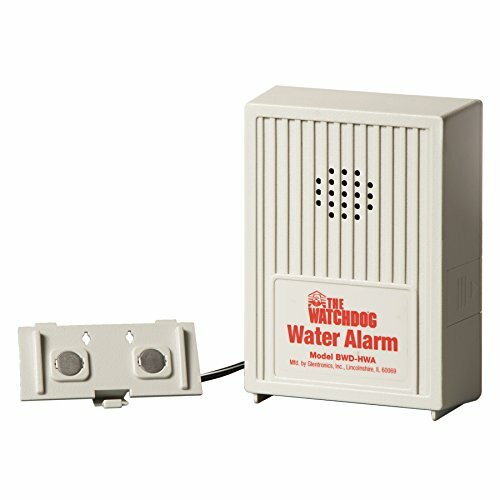 The water leak sensor triggers an audible alarm whenever it comes into contact with water, and with the addition of a SimpliSafe alarm monitoring plan, you can opt to get a phone call, text message, or email alert when the alarm goes off. There are two basic kinds of water leak detectors. Stand-alone sensors—like the Vivint, Samsung SmartThings, and SimpliSafe detectors—detect water with two probes placed at the bottom of the unit. These sensors tend to be on the smaller side and work well underneath sinks and alongside sump pumps. Other water sensor alarm models—like the Honeywell Lyric and Basement Watchdog water sensors—use a probe too, but this one is connected to a cable. 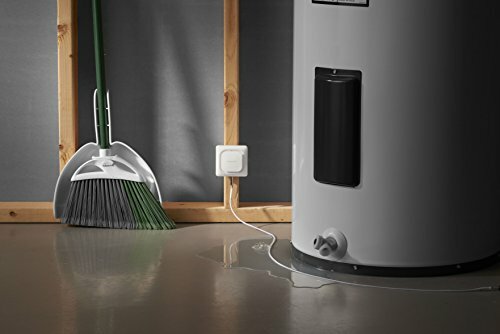 That cable detects water in small spaces, so those sensors are ideal for behind your washer machine and other hard-to-reach spaces. Some sensors do a bit of both: Honeywell’s Lyric Water Leak and Freeze Detector, for example, has both probes on its base and an optional cable attachment that expands its detection area. How do you protect your home from water damage? Finding the best water leak detector for your home depends on your budget, your home’s needs, and how technologically savvy you consider yourself. Overall, the Honeywell Lyric Wi-Fi Water Leak Detector and Sensor is a good, middle-of-the-road option that offers both affordability and versatility. You can feel comfortable that it covers all your bases with its two types of sensors and alarms via both the device itself and the Lyric app. Still, Honeywell’s water sensor depends on Wi-Fi connectivity—which isn’t ideal if your power is out because of less-than-ideal water conditions. So our second pick is the Vivint Flood/Freeze detector. Its longevity is a huge factor here: having a water sensor device that is a reliable bet for at least 10 years is an easy choice. Whatever your needs, you have options. After all, protecting your home from water damage shouldn’t have to be a pricey endeavor. How do you protect your home from potential water damage? Give us your tips and tricks in the comments.